If you’ve been directed to this page, then you have a true wildlife emergency or need further advice from a wildlife rehabilitator. The Pennsylvania Association of Wildlife Rehabilitators has a current list of all licensed wildlife rehabilitators in the state. Animal Help Now is a 24-hour search engine, available as a website and as a free phone app, to assist with the full range of animal-related emergencies, including finding a local wildlife rehabilitator. The National Wildlife Rehabilitators Association publishes up-to-date documents on its website of the current state and federal agencies regulating wildlife rehabilitation. The International Wildlife Rehabilitation Council. It contains some suggestions for common wildlife issues and has a search area for rehabilitators. The Humane Society of the United States publishes a current list of state organizations along with links to wildlife rehabilitators organized by state. Rehabilitators also network with local veterinarians and animal shelters. The local 911 center may also have a number on file for wildlife emergencies. Licensed wildlife rehabilitators are regulated by two governing bodies: the state fish and game or conservation department; and, if they work with migratory birds, the US Fish and Wildlife Service. These organizations can be found in the “Blue Pages” of your telephone directory. They can also be found by doing an internet search for your state, plus wildlife protection. Keep in mind that you may have to make several phone calls before finding a rehabilitator close to you who may be able to help. Please be patient and persistent – that animal is relying on YOU! 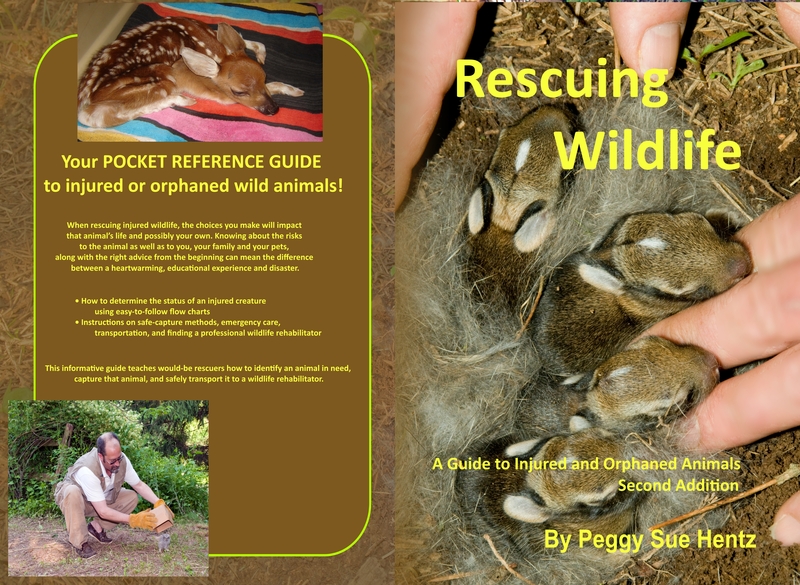 Your POCKET REFERENCE GUIDE to injured or orphaned wild animals! When rescuin g injured wildlife, the choices you make will impact that animal’s life and possibly your own. Knowing about the risks to the animal as well as to you, your family and your pets, along with the right advice from the beginning can mean the difference between a heartwarming, educational experience and disaster. 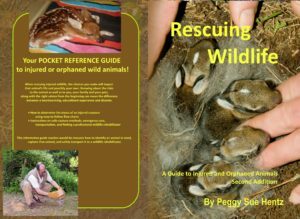 This informative guide teaches would-be rescuers how to identify an animal in need, capture that animal, and safely transport it to a wildlife rehabilitator.